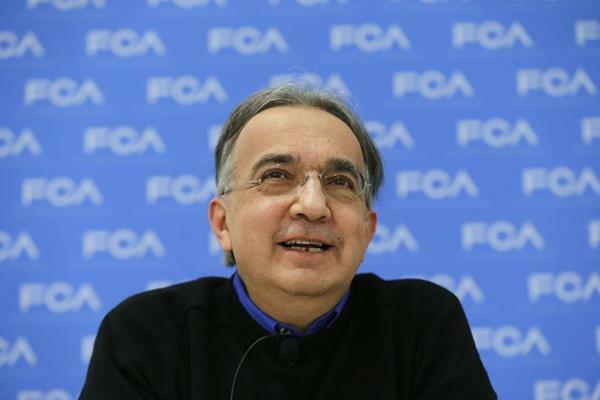 His high-profile calls for industry consolidation have led some analysts to characterize Mr. Marchionne’s pitch as a desperate one, reflecting Fiat Chrysler’s weak operating margins. Although the company is now profitable, a potential industry downturn and the future costs of meeting emissions regulations and investing in new technology leave sizable risks. Mr. Marchionne has been emboldened by the recent success of activists at GM, the people said, and views them as a means to force consolidation on the fragmented auto industry. The 62-year-old executive has argued for months that excess production, especially in Europe, and duplicate engineering and other costs need to be addressed to boost profitability. He took his rationale to several auto makers around the world with the support of the company’s chairman. Still, with margins well below rivals, it hardly makes an attractive merger partner. Its North American operating margin, for instance, was 3.7% of sales in the first quarter, half of GM’s. GM has an acrimonious past with Fiat and Mr. Marchionne, who in 2005 got the American company to pay $2 billion to get out of an obligation to buy Fiat’s ailing auto business. That fallout also led to the companies dissolving a five-year-old partnership to jointly produce engines and transmissions. GM resisted Fiat Chrysler’s more recent entreaties, including an appeal earlier this year to Chief Executive Mary Barra for a merger of the two companies. GM has broader scale and has transitioned many of its products to global vehicle architectures, an important move that reduces duplication and boosts production efficiency. GM is about a decade into an internal consolidation that executives see as having effectively lopped off billions of dollars in costs and positioned the company toward achieving a leading position on return on invested capital. Ms. Barra has routinely said the management team won’t entertain distractions from that goal. A team of activist investors, led by former hedge-fund manager Harry Wilson, approached Ms. Barra earlier this year pushing GM to agree to buy back $8 billion of its own stock. GM, which had already announced a costly dividend plan and was considering additional steps to reward shareholders, agreed to a $5 billion buyback, saving Ms. Barra from further spats over board seats. GM shares closed at $34.99 on Monday, about $2 higher than its IPO price in 2010. Mr. Marchionne sees the success of Mr. Wilson’s team of hedge funds, which included Taconic Capital Advisors LLC, Appaloosa Management LP, HG Vora Capital Management and Hayman Capital Management LP, as reason to consider a more aggressive approach toward GM. Mr. Marchionne thinks GM’s liquidity would be better spent on boosting scale rather than buying back shares, one person said. Ms. Barra’s willingness to work with activists suggests another investor could lure GM again to the negotiating table, a person familiar with the situation said. 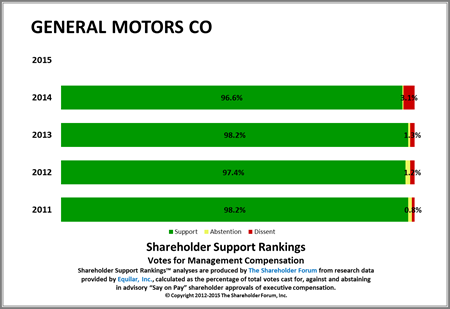 In a note to investors on Monday, Morgan Stanley auto analyst Adam Jonas said “mergers are fraught with execution risk and there are many examples of failure in this industry.” He has noted, however, that unlike Ford Motor Co. and other major auto makers, GM doesn’t have defense mechanisms that would allow it to prevent investors from using a stake to promote short-term interests. Mr. Jonas said in April that GM could allay activist investors by addressing which product lines it is investing in, which geographic regions it is pursuing, which technological initiatives it is betting on, the pace of rebuilding an in-house captive finance capability, and what level of capital is committed to strategic tie-ups. “We are not suggesting that activism cannot offer much needed strategic focus or guidance. It can,” Mr. Jonas said at the time. Mr. Marchionne has confirmed he reached out to other executives in recent months. Last week, he said those advances weren’t necessarily to propose the same thing he had proposed to Ms. Barra. In pursuing GM, which is the largest U.S. auto maker and No. 3 in global auto sales, Mr. Marchionne is taking aim at a company that has flirted with partnerships in its recent history. In 2006, Nissan Motor Co. and Renault SA CEO Carlos Ghosn teamed with billionaire investor Kirk Kerkorian to propose an expansion to the alliance to include GM. Mr. Kerkorian held a sizable stake in GM and pushed for extensive changes at the Detroit auto company at the time; executives responded by spending several weeks investigating a tie-up with Nissan-Renault, but found it wasn’t worth the risk. In 2008, as GM and then private-equity-owned Chrysler Corp. were headed toward bankruptcy, executives at both companies pursued an alliance to survive, but later abandoned it. GM’s current CEO is convinced that large-scale mergers rarely work, and the Detroit auto maker has sufficient global scale to thrive. Ms. Barra will further lay out her case on Tuesday at GM’s annual shareholder meeting. Her aim is to land GM in the top quartile of auto companies return on invested capital, and build it into the world’s most valued auto company. Mr. Marchionne has said that in the coming years he sees the car industry consolidating around three companies each producing about 15 million cars a year. Volkswagen AG , Toyota Motor Corp. and GM are the industry’s largest manufacturers and produce about 10 million cars a year each. Fiat Chrysler was a distant seventh last year with 4.7 million vehicles made.